Sales of cannabis in Quebec are significantly stronger than expected. 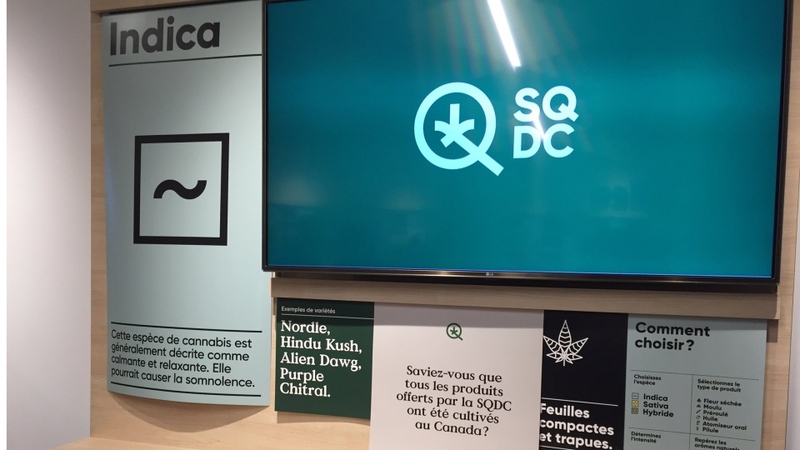 The SAQ, which manages Quebec’s cannabis retailer the SQDC said there have been 42,500 sales so far overall: 30,000 online and 12,500 in stores. The SAQ would not reveal a dollar figure for its earnings so far. Customers at the Ste-Catherine St. location in downtown Montreal are braving two-hour lineups – though some say it’s a far cry from Wednesday's lineup, which spanned several blocks as Canadians hoped to be some of the first to buy marijuana legally. “I waited seven hours yesterday and I didn’t get in,” said one man, who returned again Thursday in hopes of purchasing product. The SAQ said those that ordered cannabis products online are supposed to wait two to five days to receive their order, but said there may be delays due to the high number of orders and possible rotating strikes by Canada Post. Though they say there is no concern of merchandise running out in stores, they could run out of oils, atomizers and pre-rolled joints for their online inventory. Aurora Cannabis on the West Island, one of the main suppliers of legal weed, says it is watching which products sell the fastest, and promises it won't run out. “The market will adjust to the demand of the people that are going into consume and we'll be ready to supply that product as requested,” said Andrea Payne of Aurora.